As I may have mentioned last week, Instagram has a rather active watch community. One of its members, Ethokin, also makes small leather goods including some rather dandy watch rolls under the Decamp Goods brand. 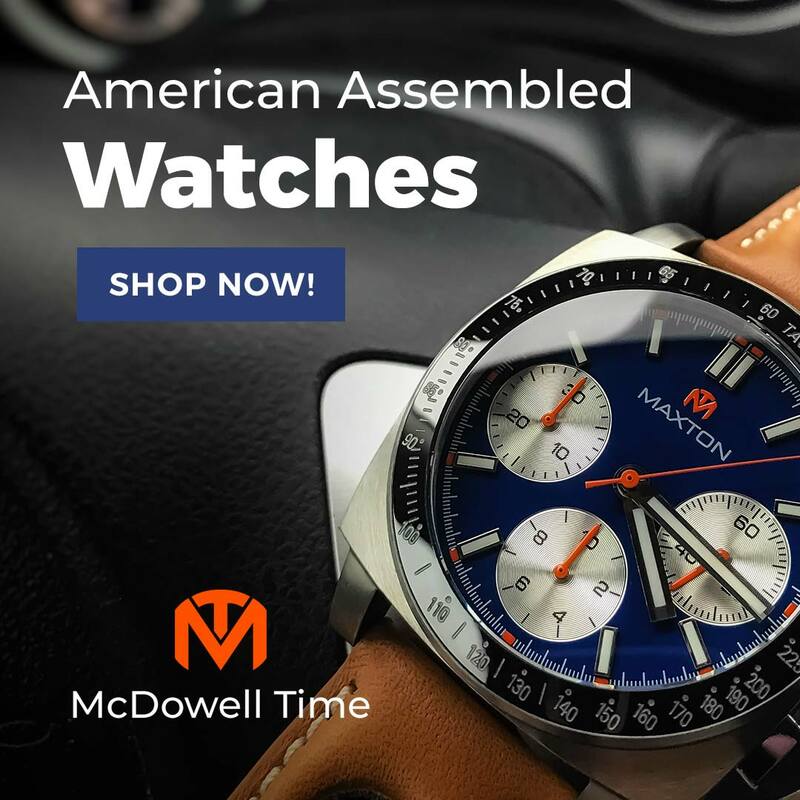 He was inspired by the idea of someone needing to depart quickly on a trip, not having enough time to decide what watch or watches to pack, and filling the watch roll to have some variety. Hence the name "Decamp" as in, "to depart suddenly." 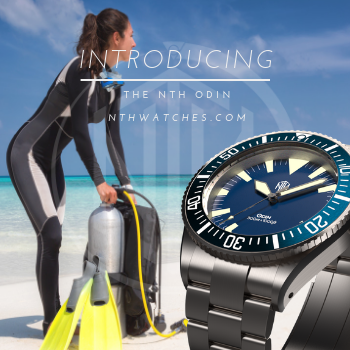 It is an elegant solution to the most watch-nerdy of all first world problems. 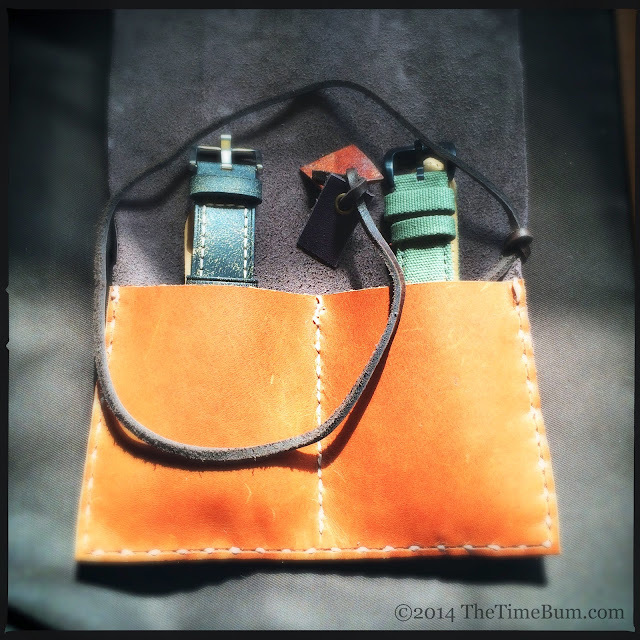 As this blog has progressed, I have found that I often need to transport watches or straps for photo shoots, and a watch roll was just what the doctor ordered. The Decamp roll is assembled from two pieces of leather, an large outer piece, and a smaller piece on the inside that forms the pouch. A leather cord holds it shut. Ethokin uses oil tanned top grain, or the slightly stiffer Latigo leather. 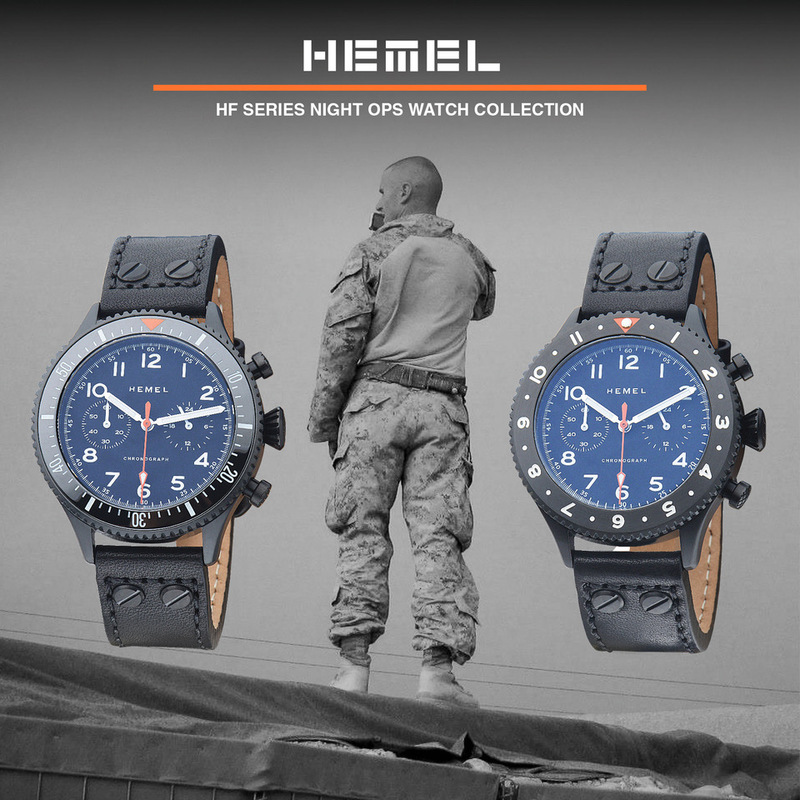 Custom orders in denim, camouflage, or other materials are possible. Smaller pockets for tools or straps can also be accommodated. Seven pockets is the limit, after that it is just too thick. They are entirely handmade from the measuring, to the cutting, hole punching, and stitching. No machines are used. 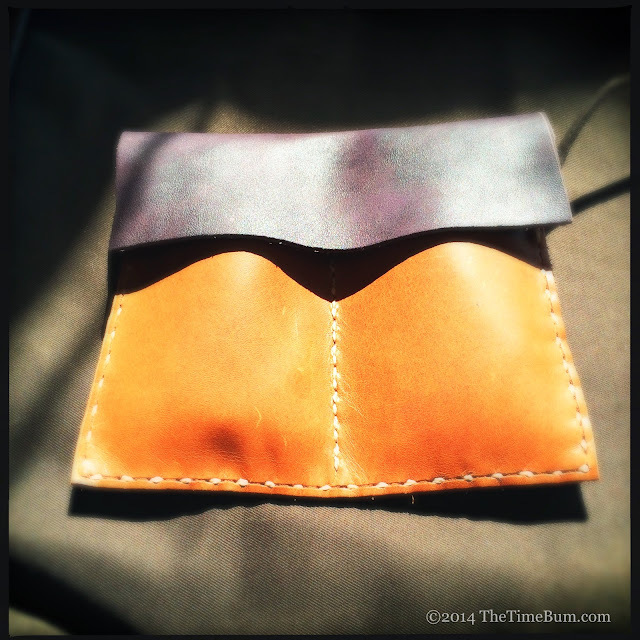 I got a two pouch roll made from oil tanned, top grain leather. 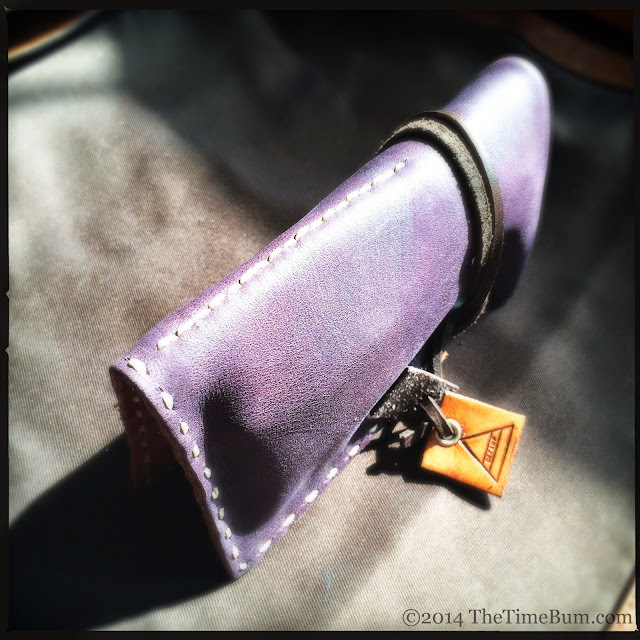 It is a gorgeous eggplant color outside with a saddle tan pouch. 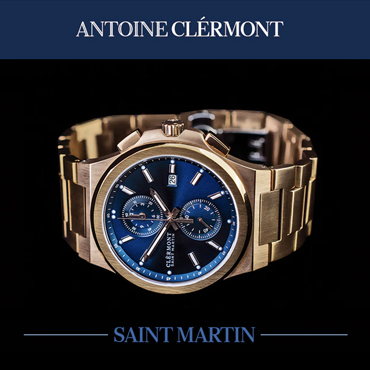 The leather is buttery soft with a suede underside that forms a scratch-free haven for the watches inside. The pouches are large enough to hold some fairly large watches (I carried two 45mm pilots without issue), but snug enough to keep smaller ones from sliding around. While clearly handmade, it exhibits careful craftsmanship. As Ethokin explained, "Someone commented that they look like something from "Game of Thrones" - which I loved." He says. "I feel like I've created timeless items and something that can be passed along to future generations along with the watches inside." 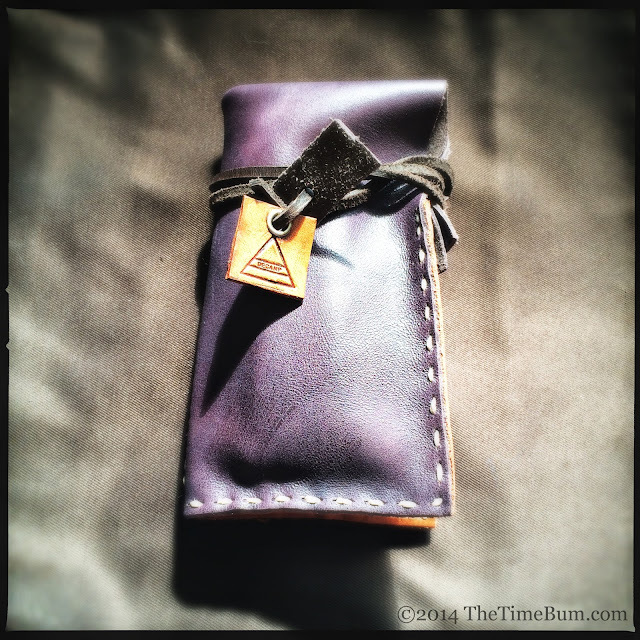 A single pocket "Jaunt Pouch" starts at $25-35 depending on the material used. A two pocket roll like mine is $45. After that, prices increase in $15-25 increments (3 pockets is $65, 4/$80 5/$100 6/$125 7/$150). Frankly, at these prices you would be crazy not to check them out. They say they don't make 'em like they used to? Well, this guy does. 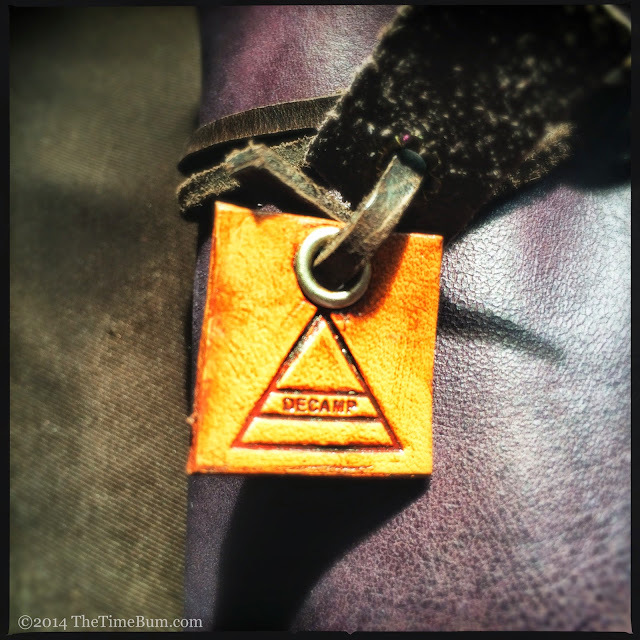 There is no Decamp website at this time, but examples may be seen on @Decamp_Goods on Instagram. For more information and orders, contact decampgoods@gmail.com. Pro: Useful, beautiful, and affordable. Con: Will encourage you to carry more watches. Sum: If you carry watches anywhere, you need one of these. The Time Bum highly approves.